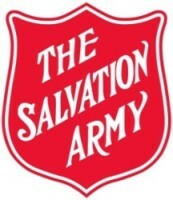 Volunteering with The Salvation Army is something people do every day! You want to be involved, but are not sure how to go about it? Getting started is as easy as filling out the form below and we’ll take care of the rest. Once we receive your information your local Salvation Army volunteer coordinator will contact you with more information. – assist seniors; be involved in sports activities etc. You and the coordinator will be able to negotiate a schedule and suitable activities to engage you. Are there any corporate opportunities? There are opportunities for corporations to be involved – some contribute toys or financially, others offer to distribute materials, such as backpacks to children, or winter coats. Others offer to work as a group at the nearest Salvation Army campground for a day cleaning and repairing the grounds or cabins. Some help sorts toys and food at Christmas time etc. Is there a set time-frame? The length of time varies from position to position you and the coordinator can work out the details. Can young people do community service hours? Yes, they can! Just follow the same procedures as above. • It can open up new opportunities. You can develop important life skills and work experience. • You may meet a new friend. • You will become a part of the community. • It looks good on a résumé. • It will provide a sense of achievement. • It will motivate your family and friends to take action. • You may discover new interests and hobbies. • It will improve your confidence.